Comments on games that I own, have played or want to play. 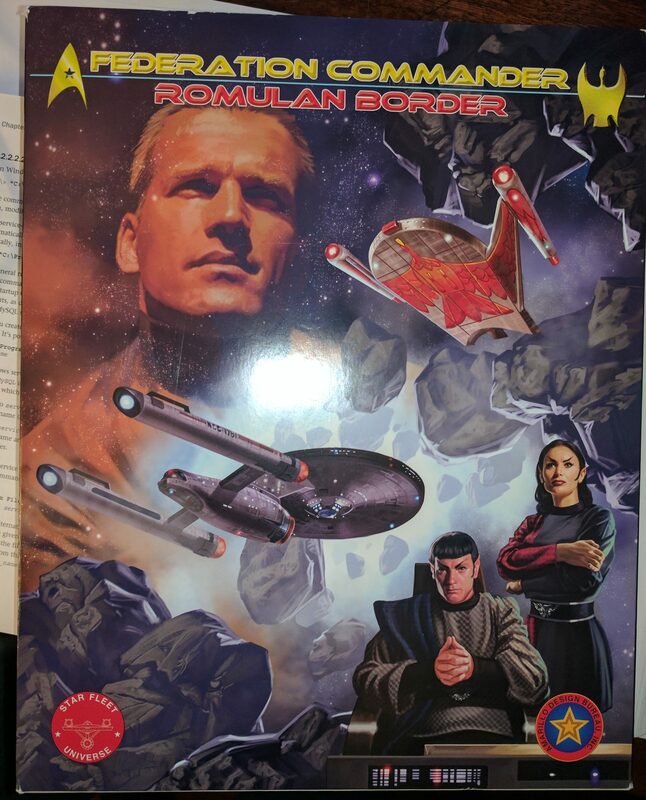 I have the Klingon Border version on order but from a slower source (this one was available with Amazon Prime so quick). I think that the Klingon/Federation match up is a little less complex and expect that will make for a better introductory scenario once it arrives. I’ve now got a largely up to date star fleet battles set. I need to clear the table in the basement and run some battles through to refresh my memory of the rules and make sure I’m good with the current state of the game. Once that’s done I really need to find opponents…there’s a facebook feed for that so hopefully I’ll find someone in the local area. While I’ve been doing flooring work on the house, I’ve also been buying Star Fleet Battles and Federation and Empire game parts to update my 25 year old set. These used to be produced by Task Force Games but it appears the original company went away and the division that produced the star trek games lived on as Amarillo Design Bureau with the old series license and game designs. Back in high school and college we had a great time killing starships on the tabletop. That got pushed to the back burner after graduation as I lost access to the groups I had played with and found my life getting much busier. Now that we’re empty nest parents, I’m hoping to find folks to play with in the area and get back into things a bit. Federation and Empire is a game I’ve owned (back to the first version called Federation Space) since school but never found the time to place. I’ve updated my set and would love to find the opportunity to run through some strategic Star Trek combat sometime. I’ve long had a fondness for hex-grid based board wargames. Most of the companies I remember from when I was in college and actively playing are now long gone. Now that I’m an empty nester I’m looking at what is out there, what I can do and updates that are available.